Founded over 130 years ago, and located in the heart of Canada—Winnipeg, Manitoba—The University of Manitoba is the region’s largest research-intensive and only medical doctoral university offering more than 100 academic programs. 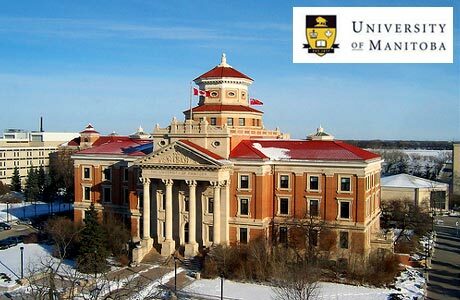 University of Manitoba offers University of Manitoba Graduate Fellowships (UMGF) valued for a for a 12 month period at $18,000 for PhD students, or $14,000 for Master's students. > Academic standing: Students with a minimum GPA of 3.75 (above B+) at a recognized university based on a Bachelor, Masters, Graduate Diploma or a Doctoral degree. > Citizenship: All students regardless of citizenship are eligible to apply. Canadian citizens and permanent residents are encouraged to apply to CIHR, NSERC and SSHRC scholarships, if there are eligible for funding from these research councils. Tricouncil eligible students who do not apply for a tricouncil award may be considered ineligible for a UMGF. > Fields of study: Students in all fields of graduate study (with the exception of those in the College of Medicine and in the Master of Business Administration (MBA) are eligible to apply, provided their program is eligible for tri-council funding. > Years of graduate study: Students are eligible to receive the UMGF for the first 24 months of their Master’s program and the first 48 months of their PhD program. Total maximum UMGF support for any individual graduate student is 48 months. Deadline: Please check with your department/faculty for details on how to be considered for a UMGF. Deadline varies per faculty.